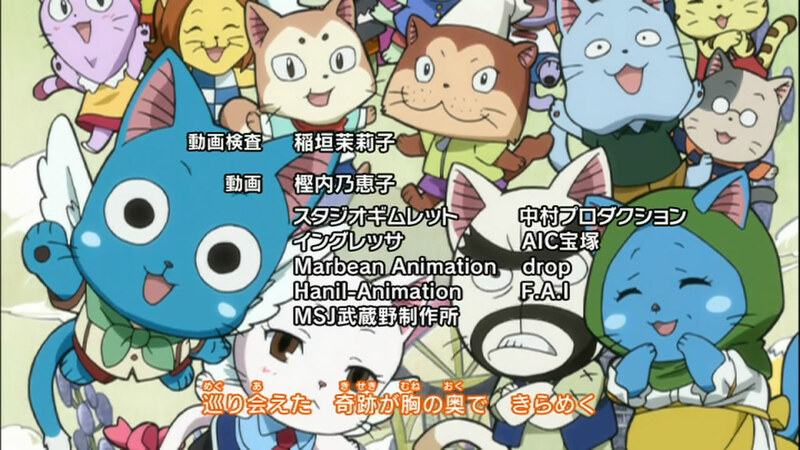 Picking up where we left off last week, episode 86 features some much needed action coming back into Fairy Tail, and it brings with it a new OP and ED set. 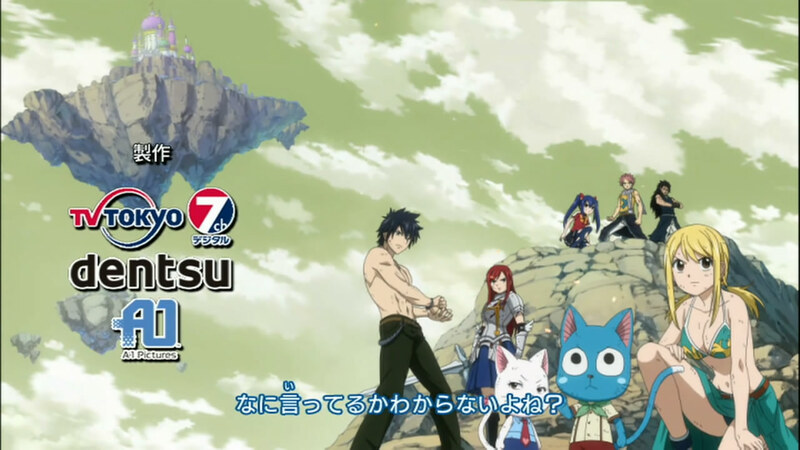 Its definitely great to see Erza and Gray make a comeback into the story. 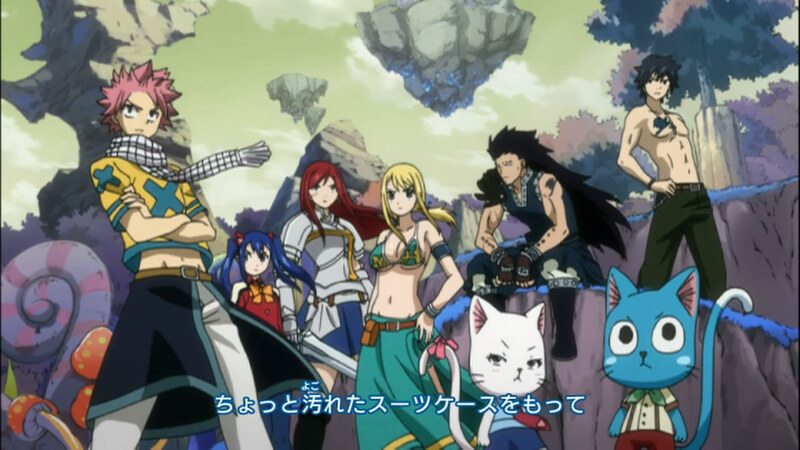 I gotta admit, I really love the idea of the current team, namely Natsu, Gajeel, Wendy, Erza, Gray and Lucy, along with Happy and Carla. 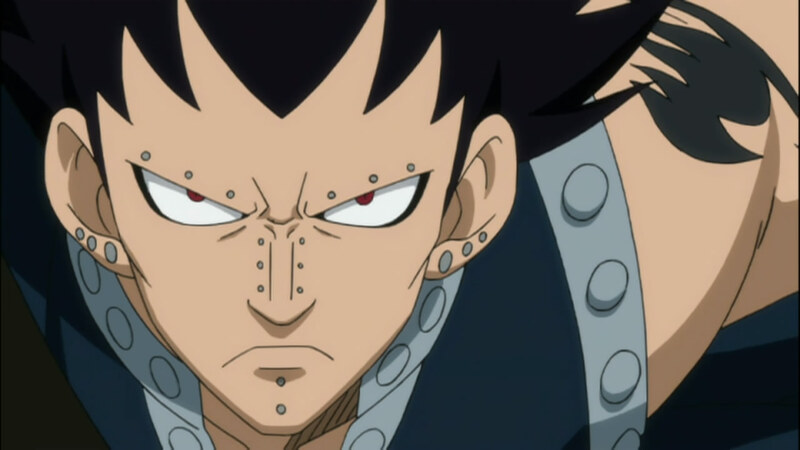 I think Gajeel’s a really interesting character, along with say Juvia, and its nice to see him get utilized. He’s like Fairy Tail’s Wolverine character (Marvel comics, X-Men) and its cool to see the wild badass join the team of already quirky main characters. 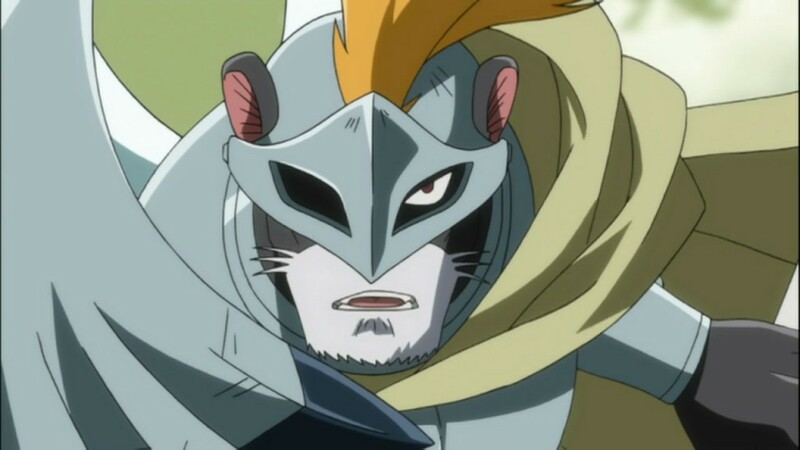 Not to mention, we haven’t seen a big fight with Gajeel since well… his fight with Natsu and the little assistance he provided Natsu in the Laxus fight. Other than that, he’s playing the sidelines, and the fact that’s taking on perhaps the most badass villain in this arc, is quite amazing. Gotta hand it to Fairy Tail, after quite a few episodes of solid story, it has me just as excited for the upcoming battles! Speaking of battles, there actually wasn’t a lot of fighting yet, as most of the characters had to get to where they’d meet their opponents. 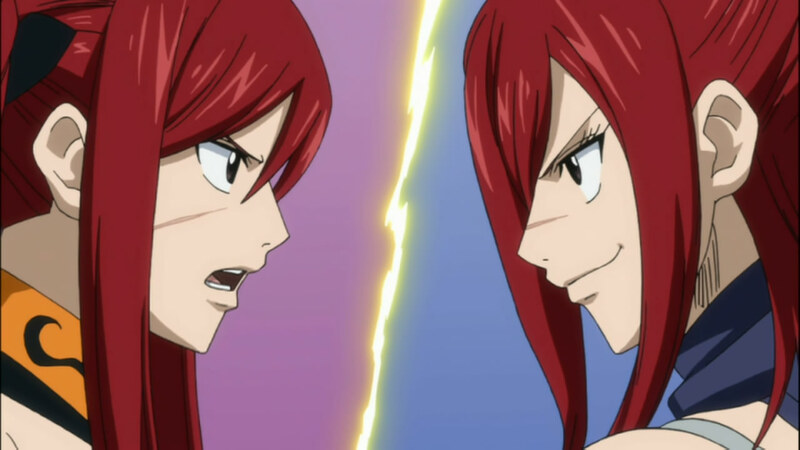 We did get a brief start to the Erza versus Erza battle. I think both myself and Erza Scarlet were kind of interested in the fact that both of her versions are able to use Re-Equip, or rather, the end result as she puts it, is the same. 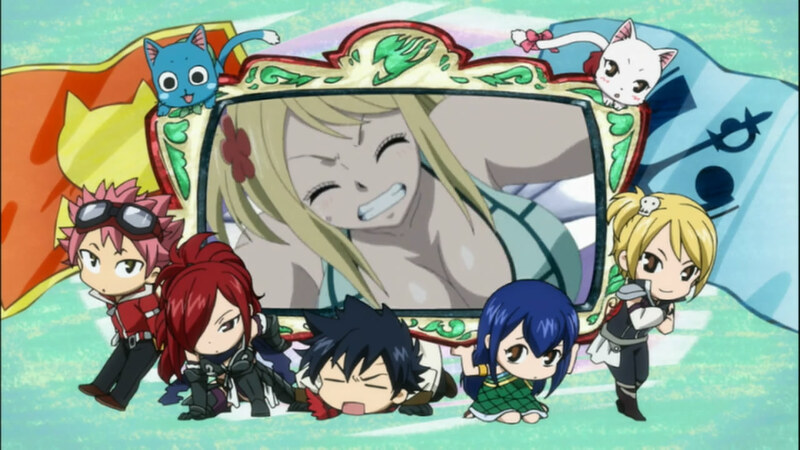 I think Erza’s met her fair match this time, which is ironically herself. 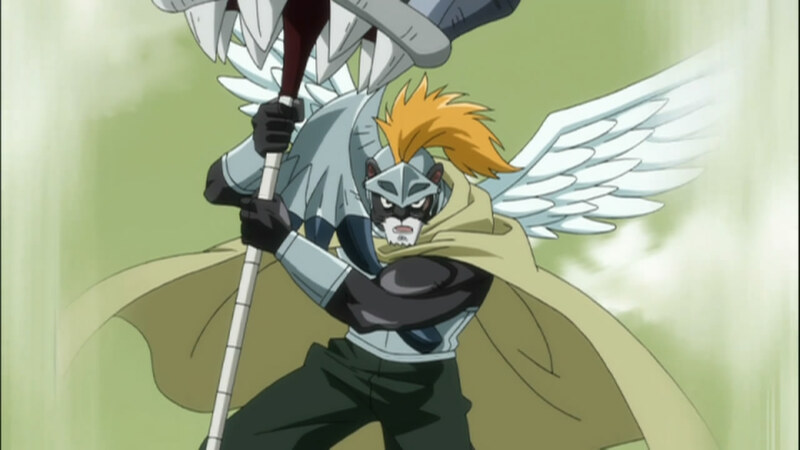 The other Erza is actually a lot more brutal, less honorable and more vicious than our Erza, who actually seemed a bit tame. 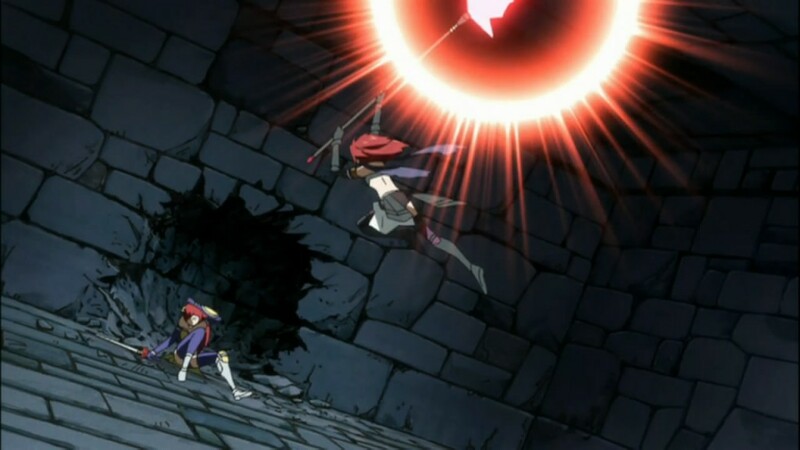 Its interesting that the way Erza Knightwalker fights is kind of similar to Haru Glory from Groove Adventure Rave. Had that not been pointed out, I probably wouldn’t have noticed it XD Either way, I think the fight between both Erzas is going to be quite something! I’m really excited for this battle as well. I can see what some of you meant when you said that Panther Lily was going to be badass, I gotta admit, I’m impressed already. Gajeel taking him on makes it all the more interesting, since he’s basically got the ability to use any kind of Iron/Metal weapon. 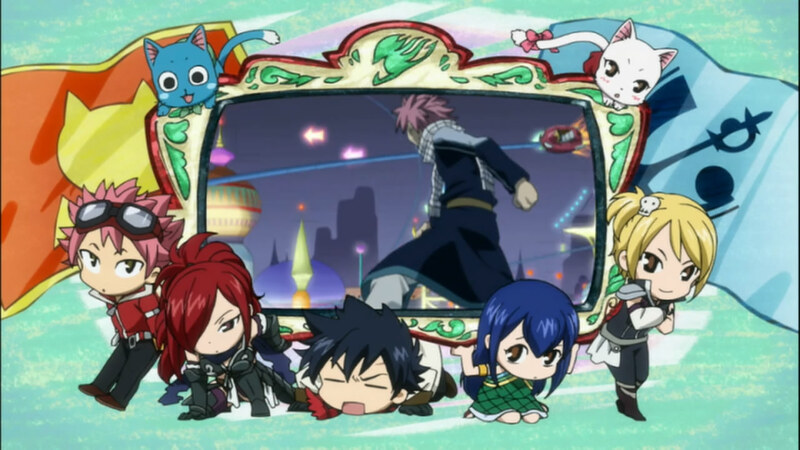 We are also explained on the whole reason why everyone except Natsu and Wendy could use their magic. Makes sense I guess, its a neat little cheat that Mystogan developed for Fairy Tail to be able to fight in Edolas. Simply use a pill that can let you use magic from your body. 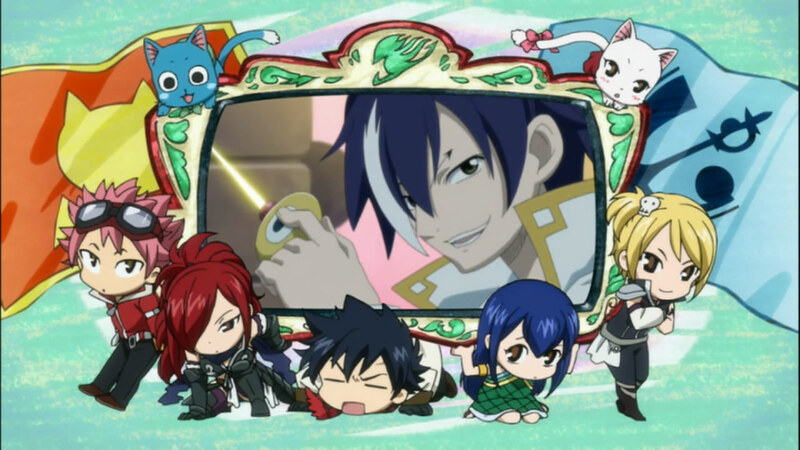 With that, Fairy Tail is pretty much ready for some serious dishing out of payback. 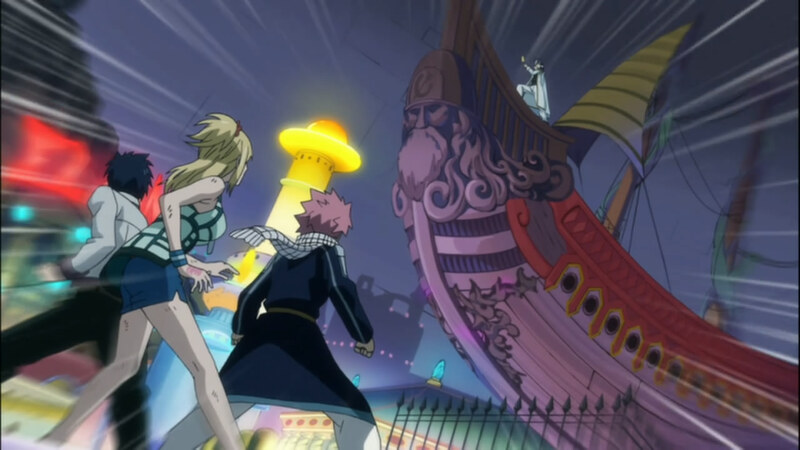 Wendy and Natsu also explain the big plan of the Humans to destroy the Exceed. 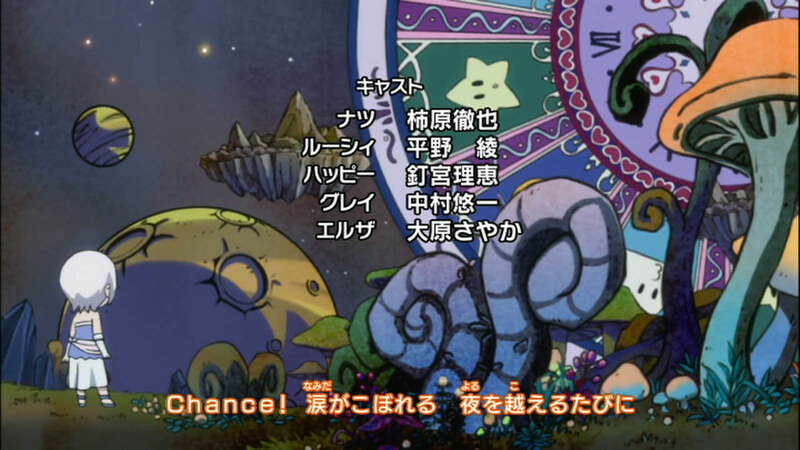 So basically, Faust’s big plan is to blast the Exceeds with their magical Atom bomb eh? Can’t say I’m too impressed, but I guess it works. 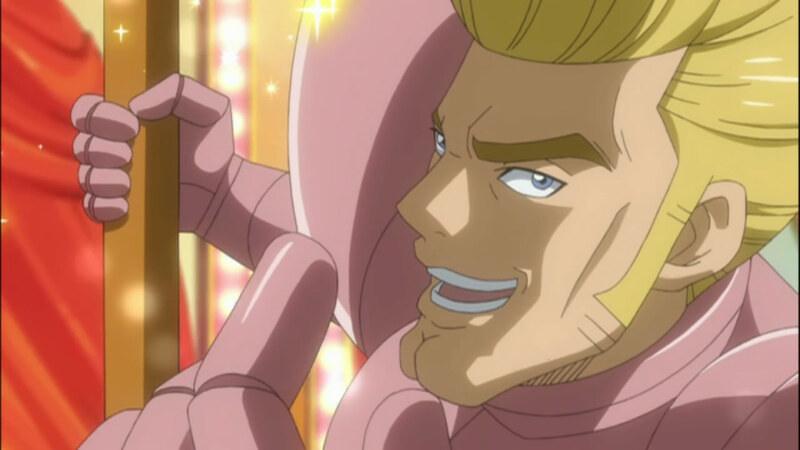 It gives Fairy Tail a reason to kick Faust and his army’s behind, and it raises the stakes for nearly everyone involved. I admit, I was a bit surprised by Wendy’s decision to warn the Exceeds, but I guess it makes sense given how goody two shoes she is. Sugar Boy and Hughes. Seems like the three of them have to take these guys down before any rescue can happen. 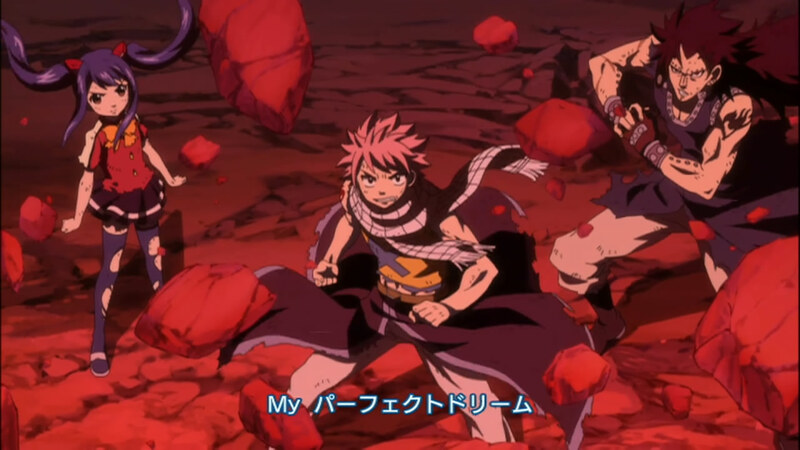 I admit, I’m not as excited about Natsu and Gray’s fights, and I’m sure Lucy will do fine in her own fight. Sugar boy and Hughes just haven’t put that much of an impression on me, but hey, I could change my mind about them as things go on. All things said and done, its finally time for some amazing battles! Its been a long time coming, but we’re finally ready for some awesome! 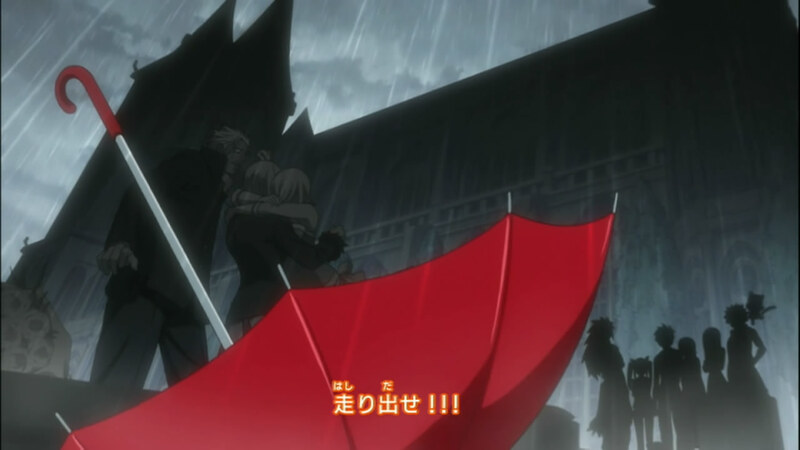 I won’t spoil the OP reveals if you didn’t notice them, but you’d be pretty hard pressed to not have missed who Faust really is for one. You also pretty much know who is fighting who. We also get a shot of the Exceed Queen. I dunno, she really does seem related to Carla. Next episode has us knee deep in the action! See you next week!